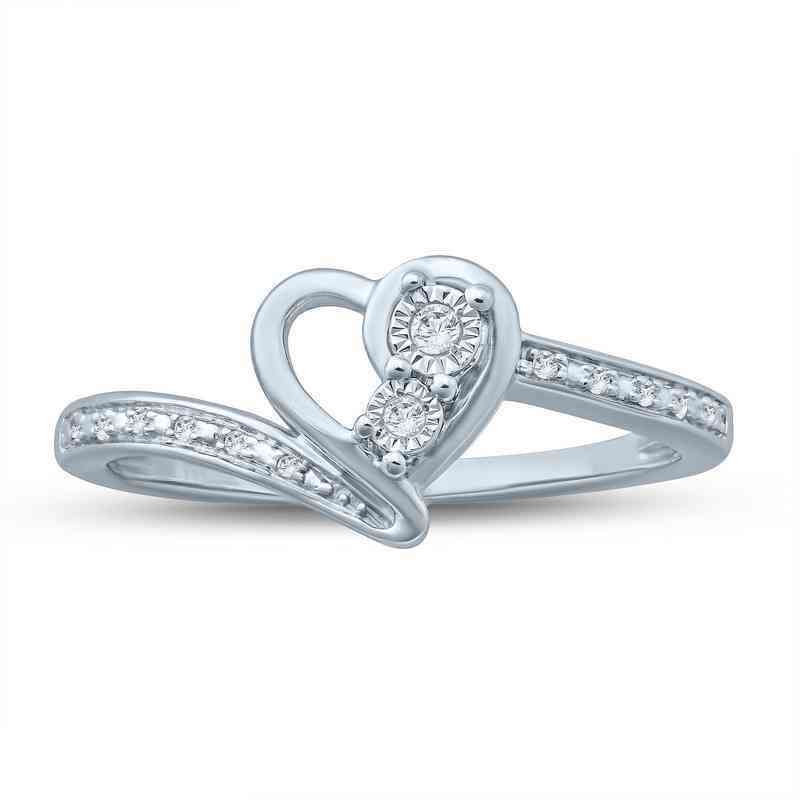 Make her feel majestic and worthy with this dazzling Heart With Miracle Plate ring. The simple yet intricate design of the sterling silver band is encrusted with 1/20 carat total weight of diamonds. The two diamonds in the center of the heart add that extra sparkle so your loved one can shine. Manufacturer direct from a trusted supplier.